Set 2.5 km from Zaryadye Park, Pokrovka 6 Hotel is situated in the Basmanny district of Moscow. The property is located 3.2 km from The Kremlin. Great location. There are lots of restaurants and cafes, bar to chill near this hotel. Kind and friendly staff. Clean and cozy room. Definitely 10 out of 10. 3.9 km from Arbat Street, V Hotel Sadovaya is located in Moscow and provides free WiFi, express check-in and check-out and concierge services. Good location and transportation. More than enough restaraunts around. Flawless service and cleanness. Featuring free WiFi throughout the property, PEOPLE Red Square Hotel offers accommodation in the central Moscow, a 5-minute walk from Red Square. Very nice hotel in the city center, very close to the Red Square!!! Offering panoramic views of the city, AZIMUT Hotel Smolenskaya Moscow is set in the central Moscow in a 23-storey building. Free WiFi is provided throughout the hotel . Nice, helpful and very professional staff; placed in the very centre; clean and comfortable rooms; excellent relation price-quality...I'm sure I'll come back! Hotel Starosadskiy is located a 5-minute walk of Kitay-Gorod Metro Station. Guests can enjoy the on-site restaurant. Every room includes a flat-screen TV. Classic old European. Very clean. Very nice little village get away. Located opposite Kievsky Train Station in Moscow, providing direct connections to Vnukovo International Airport, Novotel Moscow Kievskaya features a swimming pool, sauna and hammam. Very nice staff. Friendly, secure, accommodate late check-in and check-out! Very good location. The mall next door has everything. The supermarket next to McDonald’s is 24/7. Cruises from Radisson Pier is walkable. Comfortable space near reception area with a lot of amenities. This luxury hotel is situated at the intersection of Moscow’s Kutuzovskiy Prospekt and Novy Arbat and occupies a Stalinist skyscraper. It offers free Wi-Fi, an indoor pool and modern spa facilities. Amazing hotel with history. Stuff is very friendly and polite. This hotel offers free Wi-Fi and free parking in central Moscow, just 200 metres from Sukharevskaya Metro Station. Hotel Garden Ring offers use of the spa with indoor swimming pool. Elegant place, superfriendly staff. A 20-minute walk from the Moscow Kremlin and St. Basil’s Cathedral, this design hotel features spacious, modern rooms and an international restaurant. Wonderful, helpful staff. Comfortable bed. Clean, good sized rooms. Quiet, but central, location. Pentahotel Moscow, Arbat features 4-star pet-friendly accommodation in Moscow. The hotel has a fitness centre, a terrace and a shared lounge. Free WiFi is available throughout the property. Room was clean and tidy. Comfortable bed and good shower. Barin Residence Balchug is centrally located on Balchug Island in Moscow, within 600 metres of the Red Square and 500 metres of Zaryadye Park. Very friendly stuff helped with a card and money buzz. Perfect location. Design-hotel Tchaikovsky features accommodation in Moscow near Arbat Street and Bolshoi Theatre. This 3-star hotel offers a 24-hour front desk and free WiFi. The hotel offers a shared lounge. A warm welcome of Elena, very clean rooms. Boutique Hotel Arbat 6 provides rooms in Moscow. The property is around 1.8 km from Pushkin Museum of Fine Arts, 2.1 km from Arbat Street and 2.5 km from Bolshoi Theatre. Boutique hotel Arbat 6 is the lovely place to rest in Moscow. Five-star hotel Ararat Park Hyatt Moscow is located in the historical and cultural center of Moscow, 5 minutes’ walk from Red Square, next to the Bolshoi Theater and TSUM Department Store. This hotel is marvellous. It is best of the best I have ever tried. Hotel Akvarel is located in the heart of Moscow’s historic centre. Free WiFi is available throughout the hotel. Teatralnaya Metro Station is a 7-minute walk away. Very quiet but exceptionally convenient to my restaurants and shops. 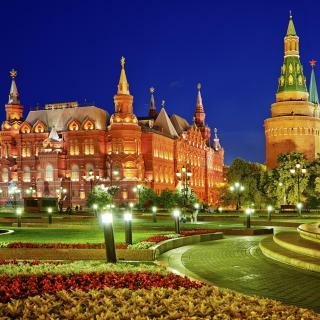 On average, 3-star hotels in Moscow cost £41 per night, and 4-star hotels in Moscow are £59 per night. If you're looking for something really special, a 5-star hotel in Moscow can on average be found for £147 per night (based on Booking.com prices). The average price per night for a 3-star hotel in Moscow this weekend is £83 or, for a 4-star hotel, £117. Looking for something even fancier? 5-star hotels in Moscow for this weekend cost on average around £301 per night (based on Booking.com prices). What hotels in Moscow are good for couples? These hotels in Moscow are highly rated by couples: Brick Design Hotel, Pokrovka 6 Hotel and Boutique Hotel Arbat 6. 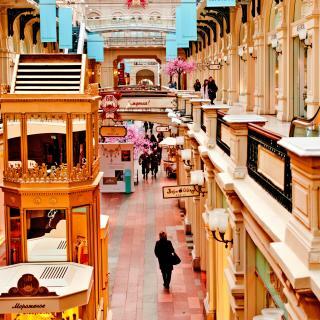 What is the best neighbourhood to stay in Moscow? 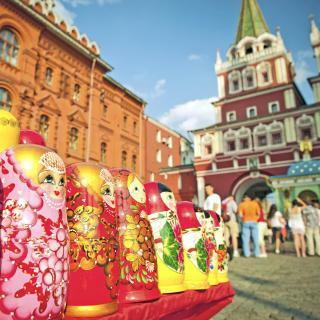 Arbat, Basmanny and Zamoskvorechye are popular with other travellers visiting Moscow. On average, it costs £47 per night to book a 3-star hotel in Moscow for tonight. You'll pay on average around £74 if you choose to stay in a 4-star hotel tonight, while a 5-star hotel in Moscow will cost around £185 (based on Booking.com prices). Travellers who stayed in Moscow near Moscow Domodedovo Airport (DME) have said good things about Airhotel Express, Airhotel Domodedovo and DeltaFly Hotel. Many families visiting Moscow loved staying at Brick Design Hotel, Boutique Hotel Arbat 6 and Pokrovka 6 Hotel. What hotels in Moscow offer an especially good breakfast? For hotels in Moscow that serve up a highly-rated breakfast, try Brick Design Hotel, Lotte Hotel Moscow and Moss Boutique Hotel. What hotels in Moscow have nice views? 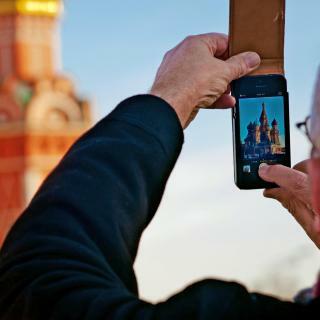 Congress-Park Volynskoe, Swissotel Krasnye Holmy and Lotte Hotel Moscow have received great reviews from travellers in Moscow regarding the views from their hotel rooms. What are the best hotels to stay in Moscow? Pokrovka 6 Hotel, V Hotel Sadovaya and Palmira Business Club are some of the popular hotels in Moscow. 눉The whole area around the hotel is being dug up to lay new drainage, paving and kerbs - we had no prior knowledge of this and were not advised by Booking.com before our visit. There were JCBs, large trucks and other lorries all day and night which were quite noisy. This work made it difficult to walk along the sectioned area for pedestrians when immediately leaving the hotel - walkway was quite narrow and there was a constant build up of traffic all day and night all along the road to our hotel. Access to the restaurants across the road were difficult to achieve because of this also. Once inside the hotel you could not hear or see the mayhem from the entrance level because there were stained glass windows all around, and you got the impression you were in another place entirely. However, in the bedrooms you could see all the workmen, JCBs, lorries and all of the materials that were stacked up for the work going on. Our bedroom was well soundproofed so our sleep was not disturbed. 눇Good facilities at hotel - room was a very good size, there was a restaurant where breakfast was served, as well as a bar and snack bar which was very decorative with small stream containing fish and turtles to look at and plants and trees which made the atmosphere when sitting there very relaxed and enjoyable. In lower ground floor there was a gym, sauna and plunge pool with shower and toilet. We used the sauna which was very good and relaxing. Breakfast was good, with varied options each day. Beautiful city, just as I hoped. Beautiful city, just as I hoped. So many places to visit one would need a month to see them all. Hotel was excellent. Food superb, rooms could not fault. Staff were so friendly and helpful. Travelled all over the city by bus because very low fares compared to taxis. Ate lunch most days in the food halls in their beautiful Malls. Excellent and could not believe how reasonable the cost. I would recommend a visit to Moscow to anyone. so much so, I am thinking of having another long weekend there again around April 17. The bed was great! I had my time to sleep well. This hotel is easy to book, live well, feel safe and comfortable. 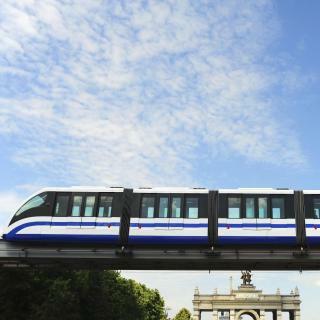 You can find easy access to centre, fine shops, subway, restaurants and the biggest city park in Europe! I would highly recommend this hotel. The location and the service was top notch. The breakfast was excellent. The rooms were comfortable and beautiful, it was just a wonderful place to come home to after a busy day. Moscow was the biggest surprise of my trip. A wonderful and safe place ---- it was the safest I have felt in any of the world large cities. I will return. It was like a dream. Super location, great staff, modern and comfortable, and totally unique. breakfast, room facilities, shops, restaurants, location, staff.. all was good.